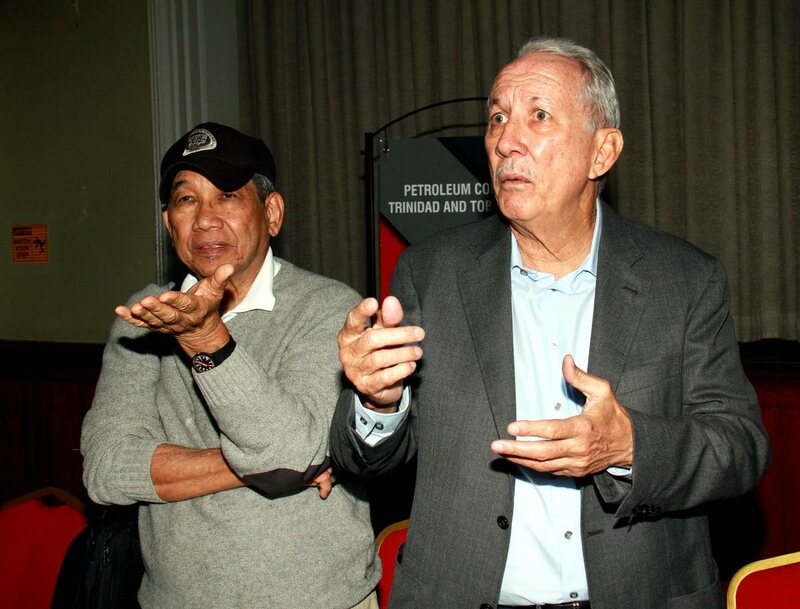 THAT’S IT: Petrotrin chairman Wilfred Espinet (right) and executive director -Refinery/Marketing Anthony Chan Tack at yesterday’s press conference at the company’s staff club in Point-a-Pierre. DESCRIBING Petrotrin’s refinery as a cancer that cost the company billions in loss and debts, chairman Wilfred Espinet announced its closure yesterday. That decision means 1,700 workers will lose their jobs. Another 800 employees will be assigned to the state-owned oil giant’s redesigned exploration and production department. Espinet said the period of transition will begin on October 1. He told reporters during a press conference, the restructuring of the company is necessary to ensure that Petrotrin can make a profit in the future. The board met with the Oilfield Workers’ Trade Union (OWTU) earlier in the day at the Petrotrin staff club. He said when the current board was appointed last September, they were mandated to find ways to stop the company from losing money. Espinet said the union is welcome to suggest alternatives to the shutdown, but he also said the course of action will not be changed unless the union can come up with a better proposal. He said workers will not be thrown out on the pavement, and the company will construct an exit plan to ensure that. But he said alternatives may not be accepted as the company has to make its bond payments. Director of the Refining and Marketing unit Anthony Chan Tack also weighed in, saying with a 70 per cent higher operating cost than competitors, anyone who buys it will lose money. “One assumes anything you sell can be a profitable business, you think someone is going to buy it to lose money? The refinery is a difficult business to make money in, given the state of the refinery and the kind of investment that has to be done, it is going to be very difficult for somebody to recover that, plus buying the refinery and running it,” Chan Tack said. Espinet said all refined fuel products, except LPG, will now be imported. Asked if this will cause prices at the pump to increase, Espinet said that is a political decision. Espinet says the company’s Exploration and Production departments will benefit from the refinery’s closure as money can now be invested in these operations.